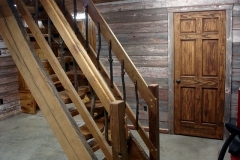 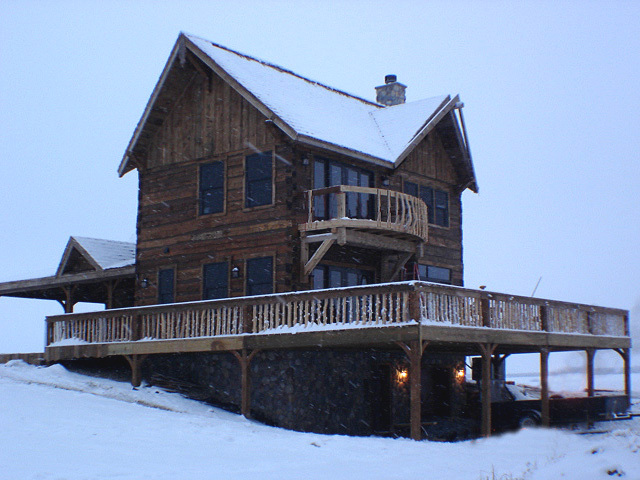 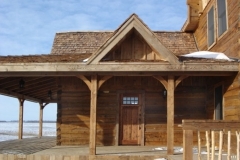 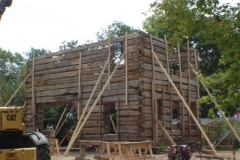 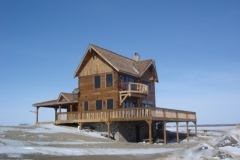 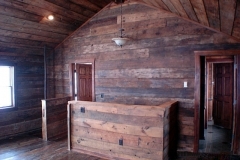 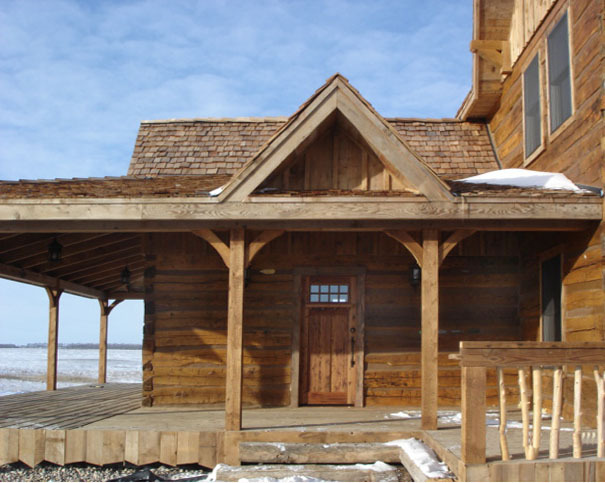 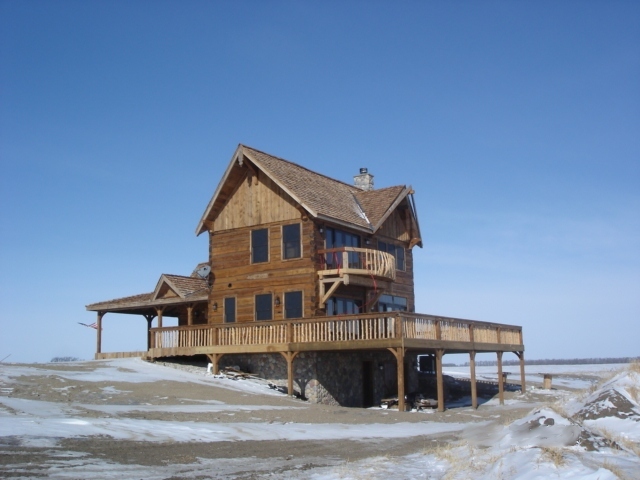 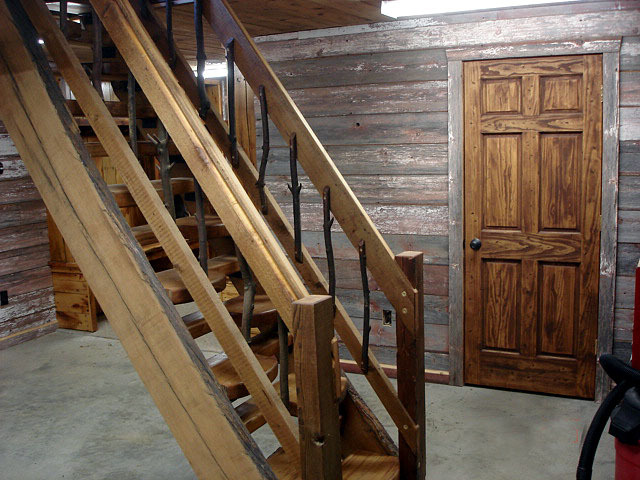 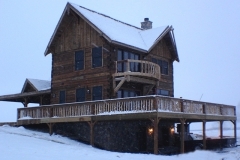 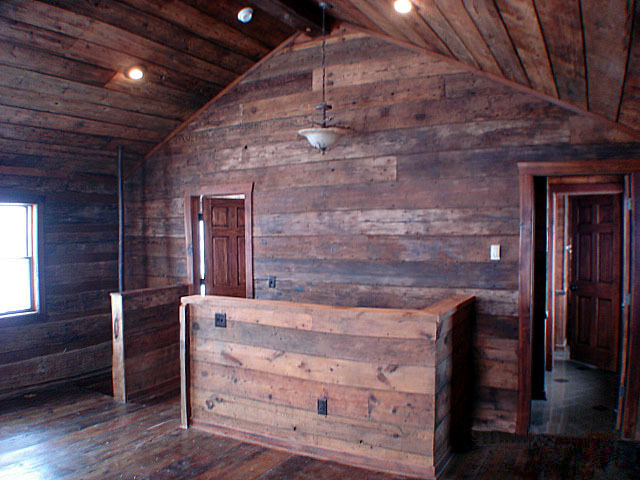 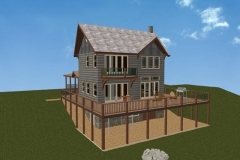 This turnkey design is a hunting lodge that was built from two pioneer cabins and several barns. 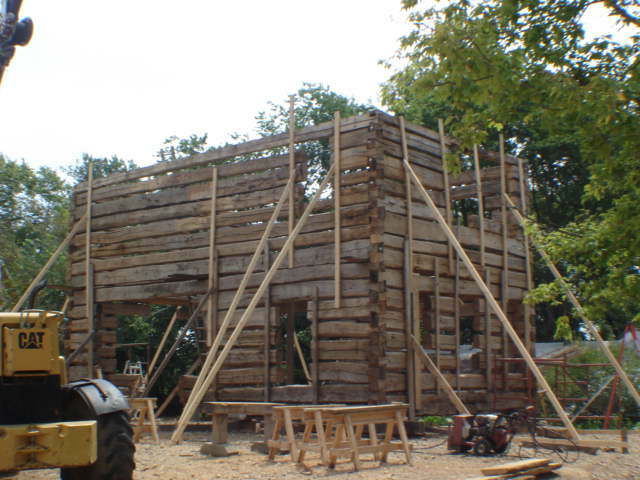 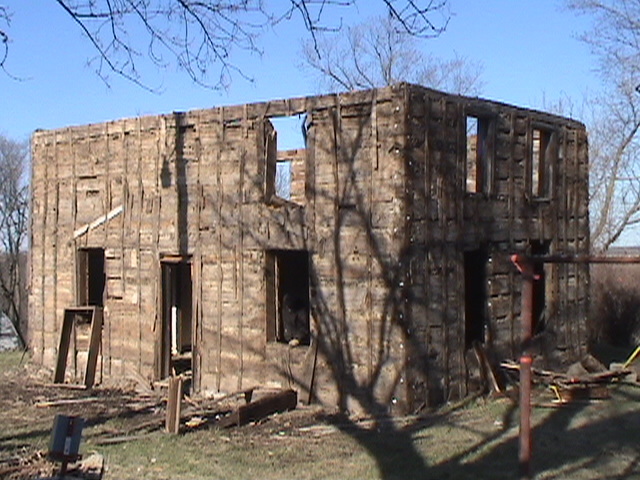 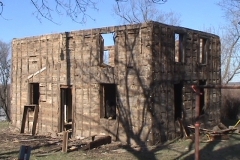 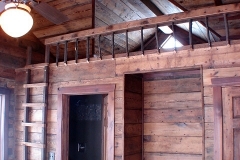 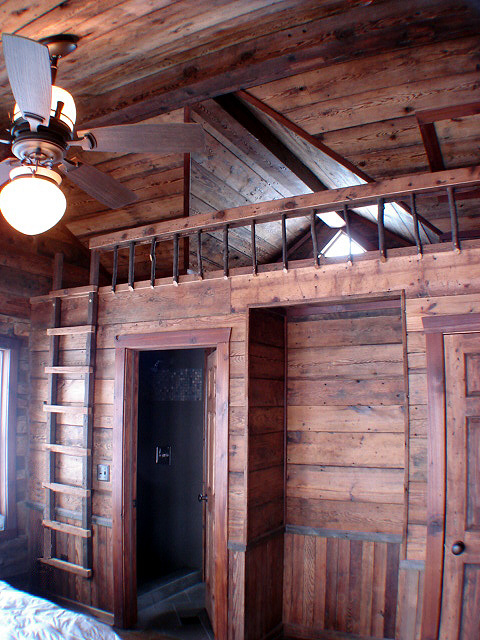 It features a wrap-around deck made from treated salvaged lumber with a covered porch on the kitchen end. To save floor space, Jefferson stairs connect each level and a curved custom deck off the second floor allows a great view of the sunset. 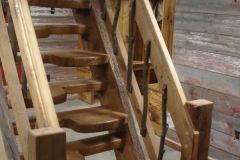 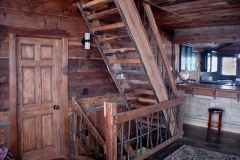 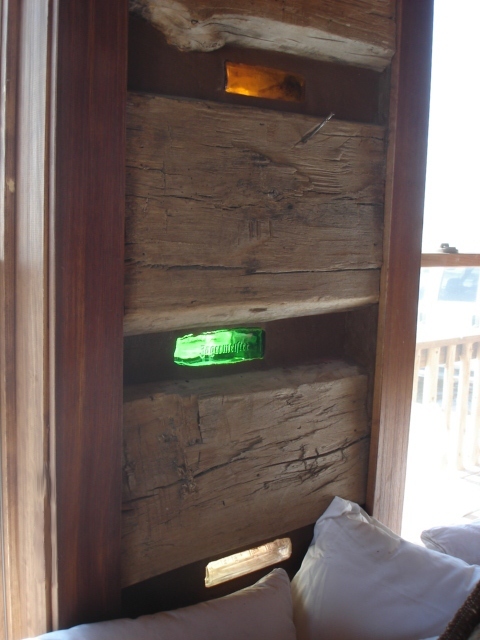 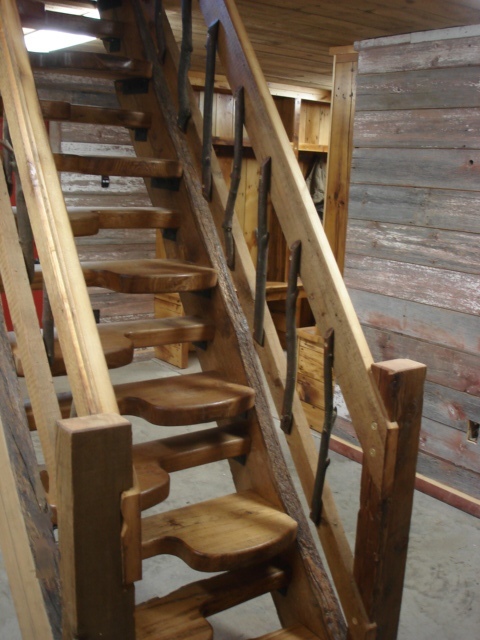 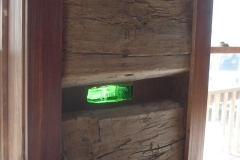 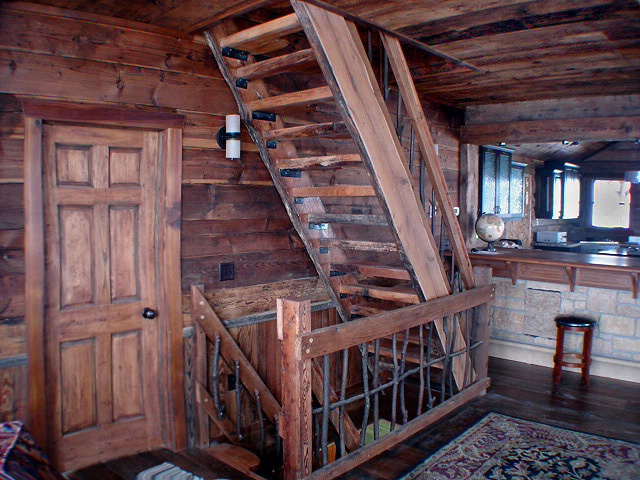 Special touches include antique bottles placed between logs in the chinking, branch balusters in all the railings and shotgun shells to fill knot holes.